This month we’re featuring a new “slant” on an old favorite – our CDI Model. Diamondhead developed a new model free-float forend with accentuated slanted cooling slots, and we think it makes our CDI better looking than ever. The CDI was developed around the concept taking a highly accurate carbine and accessorizing it with our most popular “add-ons”. The result is a fast pointing rifle with great balance and, of course, great looks! While I’m on the subject of customizing rifles, don’t forget that Windham Weaponry has a great “Special Build Program” whereby you can pick the base model rifle you want, and add any number of accessories from our catalog or website, and have us build “Your Rifle. Your Way.” Just call our Customer Service / Sales line (1-855-808-1888) for details, and Matt, Cheryl or Ron will get you up to speed. All our rifles and accessories can be seen at www.windhamweaponry.com or call us for a free catalog (1-855-808-1888). When choosing iron sights for the SRC rifles, it is important to make sure you get the correct height front sight. Most manufacturers of rail mounted iron sights make two different heights for the front sight. With the SRC (and VEX rifles) you have to make sure you get a front sight that is for “same plane” sighting. In other words it has to be the same height as the rear sight that is mounted to the picatinny rail on the upper. Some confusion comes in here when you see a company that offers a “Gas block height detachable front sight”. Right now we are one of the only manufacturers that make an AR15 in which the picatinny rail on the gas block is on the same plane as the upper receiver. Most company’s gas blocks have rails that are lower than the rail on the upper. Front sights for these rifles have to be made taller to make up this difference in height. So what happens if you mount one of these taller front sights on an SRC is your rifle will end up shooting way too low, and you cannot move the front sight post down far enough to get the gun on target. Below is approximately what the measurement is supposed to be for the front and rear sights. Note that is has to be the same or at least close to this measurement for both sights. Rear sight, approximately 1.440″ from top of rail to aperture. Front sight, approximately 1.440″ from top of rail to top of front sight post. Usually, we’ll use this forum to help our customers with common questions – attempting to answer the sorts of things we get asked all the time. 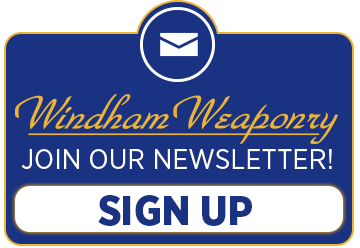 But as we are approaching our 5th year anniversary here at Windham Weaponry, we’ll turn the tables and put a question out to all of you…. In this Section, we usually feature comments & photos from our Customers. Unfortunately, Windham Weaponry’s Newsletter Editor, Karen Fogarty – who is also our Assistant to the Vice President of Sales and Marketing – was struck from behind while riding her motorcycle on May 21st. She suffered serious neck injuries, and a skull fracture. She is now at home and resting, but will face a long recuperation before we have her smiling face back at Windham Weaponry. I’m sure she would welcome your kind words and thoughts to help her on her road to recovery – you can send them to the email address below. The Manta-Ray™ is an ultra-lightweight, ruggedized, rechargeable light that snaps on and off an AR-15 without the need for tools, levers or clamps via the combat-proven Manta rail connection. Manta-Ray boasts 140 Lumens of the newest “Mint” Green LED light technology, offering superior performance in close quarters and guarding the operator’s vision from harmful reflection caused by higher output white lights. The Mint Green LED offers maximum visibility, prevents eye strain, and features adjustable brightness (dimmable from 140 to 20 lumens). A discrete status indicator light displays battery life. This rugged light is waterproof, shockproof and rechargeable (recharge time 1.5 hours – USB charging cable & power module included) and it weighs only 1.8 oz. Its run-time is one hour in continuous use. Made in the USA by LaserMax and warranted for 5 years. It is hard to believe that we are nearly through June already. It seems like just a week ago that we were in Kentucky for the NRA Show. I would like to thank everyone that came by the booth to say hello and checked out some of Windham’s new products. I’m going to be heading to the Texas Sheriff’s Show that is being held in Grapevine, TX at the Gaylord Texan Hotel. I will be in booth #708 so if you plan to attend, PLEASE come by and say hello. 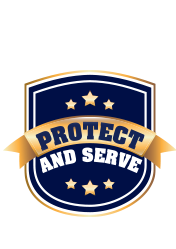 I would like to let everyone know of an amazing opportunity that we are offering to anyone that qualifies to make a purchase under the Individual Officer Program. If you are an active or retired police officer or military you would be able to take advantage of this offer. ONLY UNTIL SUPPLIES LAST, we are going to be offering something brand new from Windham Weaponry – a special model AR Pistol. This Pistol has an 11.5″ barrel with a 10″ Mid-West Industries SS Key Mod Handguard and a SB Tactical Arm Brace. We have a very limited supply, so this offer is ONLY good while supplies last. So if you are thinking about buying one of the nicest AR’s on the market please reach out to Cindy or me for pricing. remember we’re always open, rain or shine! And keep watching our website for news of other special events in the future! We are conveniently located in the Windham Business Park on Rte 302 in North Windham, Maine.